Image Graphic and Website Studio has been at the forefront of building true bespoke websites through out the region. Our customers are from all Industries and backgrounds in Smeaton Grange, Narellan, Campbelltown, Camden and throughout the Macarthur general area. 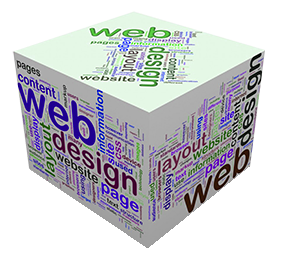 All of our customers have benefited from our expertise is web development. Every website we develop must by our professional standards be engaging with its audience, it must grab the eye and invite you to read more and make the phones ring or emails come in. We take you and your business very serious and want to get you the best results possible. You have entrusted us which we are honored by and we give it our all to get those results for you. When you have us do any work for you, you can rest assured that we draw on our 35 years of expertise and 15 website developers and graphic designers to get the job done right the first time. We don’t speak in code, we speak about what you will understand, we follow up and monitor all websites we publish. We know where they all rank and if we have concerns we will call you and take the matter in hand. This Professional level of Service is what you need to give piece of mind and then you can continue to work on your business. Do you have a unique idea for a website that you could use for your business? If so, we are the guys to speak to. Our developers are very good at what they do and we can custom make any website after speaking to you about it and then planning it out. We have developed many unique websites over the years from OTA (Online Travel Agents Websites), Real Estate Websites, Shopping Carts for many business types, online trading sites, honestly the list goes on and there is nothing we cannot achieve.